Track Seven Events specializes in technical production including staging, dazzling lighting, crisp sound, audio-visual support, creative planning, elaborate theme decor, and venue scouting. However, our services also include complete event planning and on-site supervision/coordination. We are known for delivering "stress free" professional and personalized service. Contact us to set up a FREE initial consultation for your next event. "Track Seven Events is the only call you need to make when planning an event. Seth was a consummate professional throughout the entire process while planning our wedding. Track Seven Events exceeded our expectations. They flat out helped us throw the best party of the year!" "Track Seven Events has the most capable people planning the best designs for events. Once the event is designed, there isn't a worry in the world, because Track Seven has the best staff to make the event flow as if it was an act of nature.  There should be no worry when booking with Track Seven Events, they will make you wish you were partying every weekend." "I had a really great experience with Track Seven! Seth was so helpful and organized and made a big impact for my wedding by taking the stress off me (the bride) so I could relax as much as possible. The music was awesome - everyone was dancing and we had such a good time. I couldn't recommend these guys more."